Note that if you do not already have an Educa account, you will need to create one first. Contact your childcare service and they will help you. To log on to Educa, open your preferred Internet browser (we recommend Google Chrome). You go to the http://geteduca.com website and click the login button in the top right corner. 1: From the login page (shown below) enter your email address and password. 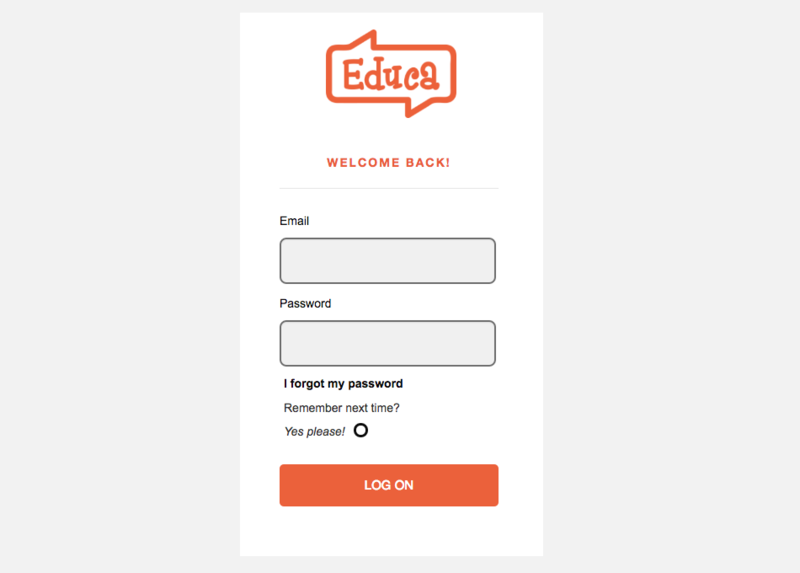 2: Then click "Log on"
Tip: If you don't want to have to log in every time you access Educa, make sure you click the "remember next time" option. This will log you in automatically. This is only recommended if you have your own computer, and is not recommended for shared computers. This probably means there is a typo, or that you are on the wrong log in page.